Android provides a rich set of guidelines and standard libraries to implement state of the art user interfaces. One of these is the Leanback library for 10-foot user interfaces. Using this library, we have implemented a user interface for watching TV on standard Android and Android TV devices. 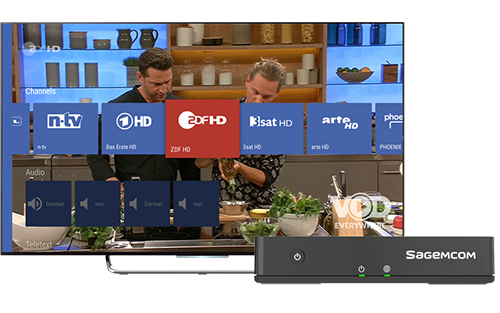 Our user interface comes with a simple zapper bar including programme information, supports multiple TV sources, service scan, Teletext and HbbTV. We provide this user interface on top of our TV application LiveOn TV. The design and implementation is prepared for extensions and customizations that can be done by our customers or as a service by ourselves. 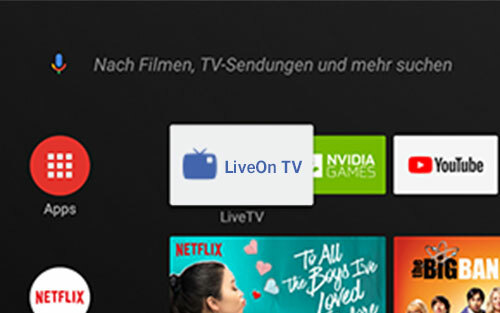 Our application “LiveOn TV” is a rich featured Android application for watching live TV on standard Android and Android TV devices. By using our Inaris DVB/IPTV Middleware through the OIPF for Android API we are able to provide multiple input sources to the user e.g. DVB-C2/T2/S2 via SAT>IP or IPTV. Furthermore, we support the internal tuner of dedicated platforms. The application runs on Android O and exposes a channel to the Android Launcher for fast access of the TV services. Besides of normal TV functionality, we also integrated support for HbbTV and Teletext. The application is well-suited for everyone who wants to build his own application to provide TV functionality on Android devices.